With the years of industrial experience, we have been able serve our valued clients with a wide range of Protein Powders. 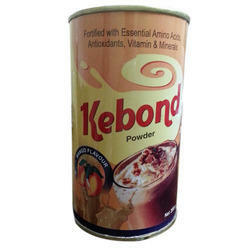 These powders are highly acclaimed for having commendable protein value. Our range is processed keeping in mind the requirement of the essential proteins. Our range is available in different quantities as per the client’s requirement. We are one of the leading manufacturers and suppliers of high quality Protein Powders in Mango Flavor. These products are widely used by bodybuilders and fitness enthusiasts to supplement their diets. These products should be taken under the supervision of physicians. These products are highly effective owing to their accurate compositions. These protein powders are offered in mango flavor that is highly appreciated by our clients. 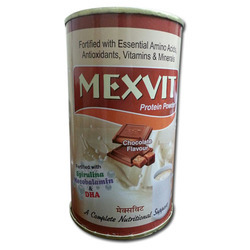 We are one of the leading manufacturers and suppliers of high quality Protein Powders in Chocolate Flavors. Our products are fully tested by experts before being dispatched to clients. These products are highly effective owing to their accurate compositions. These protein powders are offered in mango flavor that is highly appreciated by our clients. These products are available at very reasonable market price. Looking for Protein Milk Powders ?